“The Following Casework,” our first comic from Arcane Inkdustries. A rogue god has arisen out of Twitter. Armed with a hashtag that can grant any miracle, the deity is looking to expand its following by any means necessary. But T. Titus Thyme, theological investigator, and Bev, a punk elf Hispanic hacker, are on the case. If this looks interesting by itself, you can find out Kickstarter here. There you can back for a wide selection of materials from Arcane Inkdustries. If you would like to check out a preview about Titus and Bev, you can find one right below! Thank you so much for reading. We hope you back our comic, and help start this next great series! So we are currently rebuilding the website. It is going to have more features, such as highlighting our books, upcoming events, and new blogging about a host of topics. Don’t worry, we will still be publishing our story clips twice a week as per usual. They can still be found on the website, and will continue to be free. If you have any questions or comments about the new look, please feel free to contact us at any time. We hope you enjoy the new website, and share it with anyone you know and even more you don’t. Interested in what our first comic is going to look like? Want a sneak peek? Of course you do. And you can, right now. 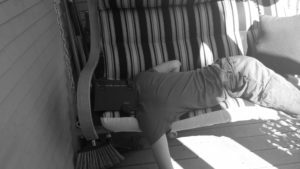 The Following Casework’s first story, “#INeedaMiracle,” is completed, and you can read the first four pages NOW. Just click here. What are you waiting for? You guys are amazing, enjoy some free pages! Has it really been this long for an update? Wow. A lot to cover. We are wrapping up our latest story with Bin Tract, the Ogre Mage. Soon Bethany and Arlyle (The Scourge of Darrenfell!) will be making new friends and terrorizing all of existence. But in major news, we have projects coming out one by one! The first one is the anthology our writer is editing, “Why Faith.” A comics anthology exploring what faith means across political, cultural, and religious spectrum. We have Eisner Hall of Famer Trina Robbins, New York Times Bestseller Jody Lynn Nye, Russell Nohelty, and so many more contributing from their heart. We will keep you updated as this comes about. Another book that we are proud to announce is the beginning of our very own comic series. “The Following Casework,” details the life and times of T. Titus Thyme, theological investigator. Partnered with his companion, a punk elf Hispanic hacker named Bev, the two investigate cases of a divine nature. Their very first issue, “#INeedaMiracle,” pits them against a new god rising out of Twitter. Written by Jack Holder, illustrated by Lucas Santos, colored by Chunlin Zhao and lettered by Micah Myers, this comic will be coming to Kickstarter October 15th. There is so much more to cover, including the next short story anthology from us, Demon Riders book 2, and possibly even a full-length novel. We will keep you informed, hopefully keep you interested, and always, keeping you reading. And so our second year comes to a close. 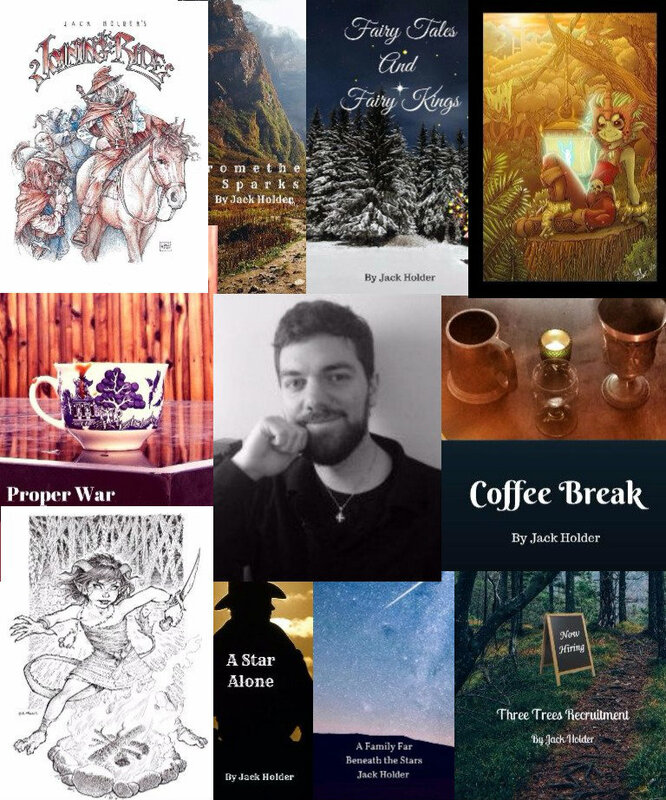 Over a dozen stories, four conventions, two successful Kickstarters for two published works, and a website for all you amazing fans. From the bottom of our hearts, thank you. Next year we will be bringing new, longer stories that focus on our younger protagonists. We hope you enjoy the city of Gratitude, a flash of lightning, and growth in the face of agonizing indifference. Two years has been an amazing ride, and we hope you have enjoyed it as well. And so our second Kickstarter ends. 54 backers later, and we could not be happier. To all our backers, thank you for Joining the Ride. We will be giving updates as the process moves forward, and hope to keep you so current about the reward process that you are absolutely sick of it. Arcane Inkdustries will be continuing as normal, and we hope you are enjoying the latest stories. Our Kickstarter is live! And Funded! Wow, that was a fast $5. If you are a frequent fan of this site, make sure you snag your copy of Demon Riders. Our fantasy western is just starting to get off the ground, and we cannot wait to get it into your hands. We can’t wait, but we know there are those who don’t know enough about us to trust the purchase. So this week, we are giving away Dealing with the Apocalypse FOR FREE. Read our book, fall in love with our style, and purchase Demon Riders.That’s the plan, anyways. Enjoy our work regardless, and thank you. Another update to our Kickstarter for Demon Riders. Our fantasy western is coming to our audience in just a short week, and there is so much you can receive by backing the project! Paperback copies of it and Dealing with the Apocalypse, posters from some of our favorite artists, a comic from Russell Nohelty of Wannabee Press. 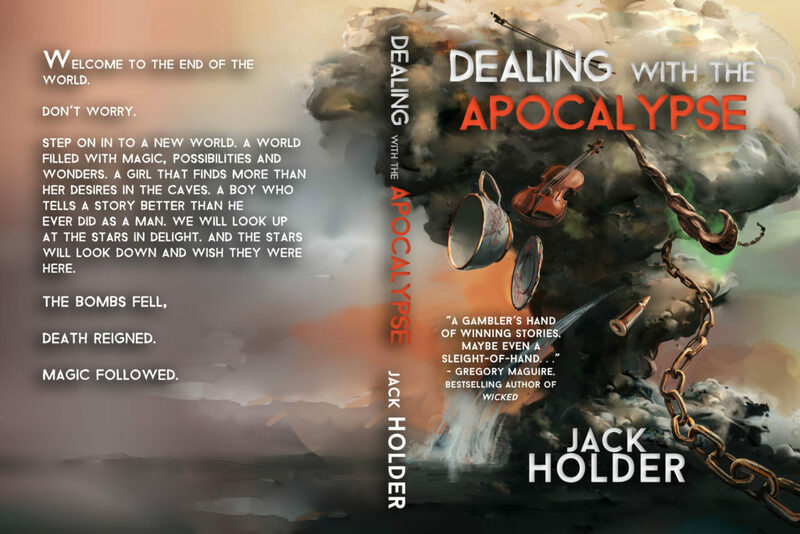 And as we reveal today, our first five days of the Kickstarter, you can download the Kindle version of Dealing with the Apocalypse FOR FREE. August 14th-18th we are doing a free promotion to celebrate the launch of Demon Riders. If you know of anyone who has been on the fence for buying or reading, please share and let everyone know they can try out this great book and see just what Arcane Inkdustries is all about. So I can now announce that our next book, Demon Riders, is coming to Kickstarter! August 14th, we will be starting our campaign to get print books of our novella into your hands. Demon Riders is a book about several characters you will recognize from the website. Kait Demonborn and Harsk, and their lives both with and without each other. As they try to grapple with the outside World and the demons from the Pit, they can only hope to keep the darkness at bay for a time. Please keep watching for more updates, and as always, thank you. Enjoy! We are in a comics contest! Our first comic, “Spells and Taxes,” is up for an award with Pulsar Entertainment’s contest. A new take on the princess and the frog, a poor frog’s wishes are irrelevant when it comes to magic and the gnomish tax code. We need your help to get into the second round, with 200 votes needed to get to the next round. Please create an account on Pulsar, support “Spells and Taxes,” and tell everyone to do the same. The process is two minutes long and completely free. Thank you so much, and have a wonderful day. As promised, our books are now on sale! If you have enjoyed reading here, please look up at the Buy Our Books tab at the top of the page. That will take you to our author page on Lulu.com, where you can purchase Dealing with the Apocalypse as a paperback, hardcover, or a digital copy. As always, thank you, and enjoy. We are excited to announce that Arcane Inkdustries will be at The Great Philadelphia Comic Con! Working alongside the great guys The Barnstormers on April 7th and 8th, we will be selling our book, Dealing with the Apocalypse, as well as getting to know the great fans in the area. If you are going to the convention, make sure to look us up, it will be an honor to shake your hand and hear your thoughts. A year since we revamped the website and started releasing our stories twice a week for you. In that time we have produced over a dozen short stories, and several short snippets on this quirky little dystopia. We hope you have enjoyed this last year, and continue with us for many more. As we write this, our books and materials from our successful Kickstarter are being shipped to our writer to be addressed and sent out to all the backers. If you are among them, thank you. If not, still thank you for reading. You are amazing. We are funded! As of today our first book “Dealing with the Apocalypse,” has finished its funding goal. The writer is currently screaming down icy streets in the joy while the voices in his head remind him about cars. We will be keeping everyone up-to-date about the progress of the book. Thank you all. Happy New Year, everyone! We keep moving steadily forward, and we are 3 days away from our Kickstarter! Dealing with the Apocalypse will soon be available to everyone. 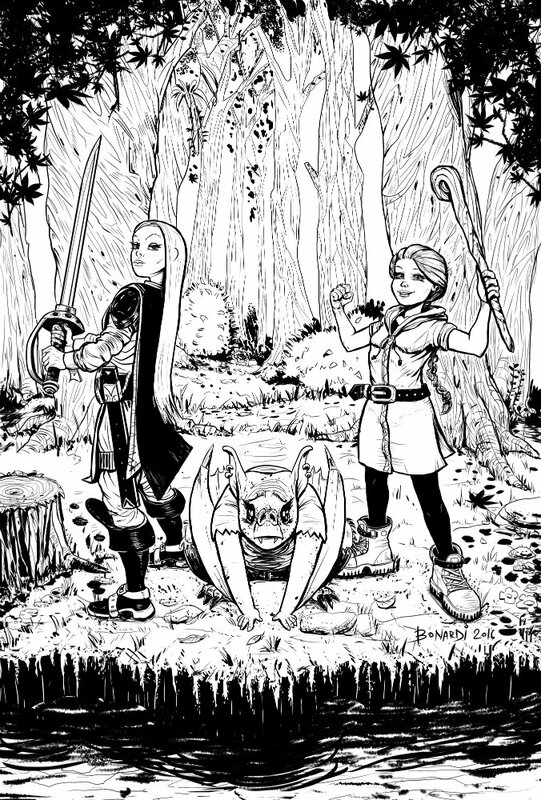 In celebration, we are releasing a sneak preview from “Lost Heroines,” illustrated by Carlos Bonardi. We hope you enjoy it, and back our kickstarter on Monday! As our calendar year draws to a close, I bring you a collage of all our works. We have seen girls find their goddess, men become boys. War has been proper, while job interviews turned bloody. Bargains were struck, a State survived, and the stars shone brightly. Wishing everyone a happy holiday season, and a wonderful 2017. Welcome back! We hope you’ve been enjoying the latest stories. Today I get to announce an amazing thing. Our first book. Dealing with the Apocalypse will be released this coming January on Kickstarter. Some of your favorite stories from the past year will be included, as well as six new stories that will never be released online. All of these stories are illustrated by half a dozen artists that span across the globe. We hope in the coming weeks to start sending out the book to reviewers and generate interest in our first endeavor. This book is brought forth by such an amazing cast of men and women. We look forward to bringing this to you soon. August 9, 2016: This is what the writer looks like after this summer weather. But with this, we can GUARANTEE new material every Tuesday and Friday through the New Year. For this fall, we are going to expand on our world and the people therein. Proper War tells of a town struggling to make life more exciting while staying polite. Coffee Break presents a welcome change from the hustle and bustle of life. Three Trees Recruitment asks how a job works out. And Fairy Tales and Fairy Kings brings us our favorite girl with the cutest little death goddess of vengeance, looking for Fairy Land. Our major project is one we have waited to talk about for six months. The tale of one nation that is able to survive and even thrive in this world. Interspersed between the preceding stories is A Star Alone, the legend of the great state of Texas in our strange, magic-ridden future. We look forward to this coming school year, and hope you enjoy. June 1, 2016: Summer is arriving. The submissions call was a rousing success, with many artists of higher caliber contributing their talents to the website and stories. All the candidates are being reviewed, and we hope to make a formal decision in the next week or so. This submissions call may be over, but there are expected to be others in the coming months. Please check this news page often for more information. We will continue to bring new material every Tuesday and Friday. As shown in our Stories Archive, the summer months will feature “Making the Cut,” “Promethean Sparks,” and “Proper War.” Three stories that each examine moral decisions and how best to manage power. We hope you enjoy. May 10, 2016: Lot to get through this time, please bear with us because there is an opportunity for aspiring artists! As we get into the summer months, and the writer has been set free to frolic, he turns his head towards art. And so in the spirit of magical enterprise, he sets forth a submissions process! Yes, Arcane Inkdustries is opening its proverbial doors for artists. We are bringing new faces in for short stories, commissioning pencils, inks and digital pieces to stand alongside the pieces as illustrations. Paid! Paid, the commissions are paid! Exactly. $40/illustration, the number to be determined in further negotiations if chosen. First off, it is an appreciation of great art supplementing fine stories. Second, we are prepping these stories, as well as others, for publishing. Next year we hope to release a kickstarter and fund a collection of short stories, both those you have loved here and those never-before-seen.